Analyze the performance and take notes about what was done well in each piece, and what we still need to work on before the MICCA Festival. 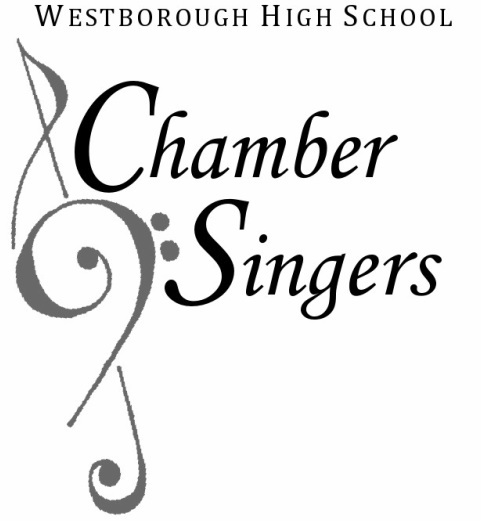 Chamber, please make a list for this choir, too. It is important! We will discuss on Tuesday, April 2nd. Luca Marenzio, (born 1553, Coccaglio, near Brescia, Republic of Venice [now Italy]—died Aug. 22, 1599, Rome), composer whose madrigals are considered to be among the finest examples of Italian madrigals of the late 16th century. Marenzio published a large number of madrigals and villanelles and five books of motets. 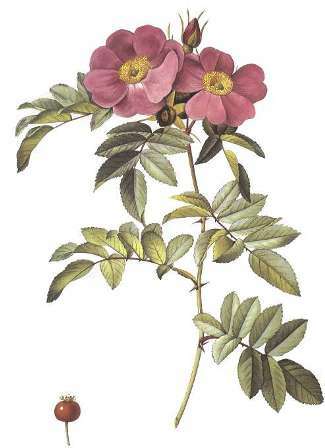 He developed an individual technique and was skilled in evoking moods and images suggested by the poetic texts of the madrigals. He exploited passages in a homophonic, or chordal, style in place of the polyphonic style characteristic of earlier madrigals. He was a daring harmonist: his chromaticism occasionally led to advanced enharmonic modulations, and he sometimes left dissonances unresolved for dramatic effect. He exerted a strong influence on Claudio Monteverdi, Don Carlo Gesualdo, and Hans Hassler and was much-admired in England, where his works were printed in N. Yonge’s Musica transalpina (1588), a collection that stimulated the composition of English madrigals. Marenzio was probably trained as a choirboy in Brescia, and he was in service with Cardinal Luigi d’Este in Rome from 1578 to 1586. In 1588 he went to Florence, where he worked with the circle of musicians and poets associated with Count Giovanni Bardi. Later he was in the service of Cardinal Cinzio Aldobrandini in Rome. In 1594 he visited Sigismund III of Poland, returned to Rome in 1595, and went again to Poland in 1596. In 1598 he was in Venice and later was appointed musician at the papal court. 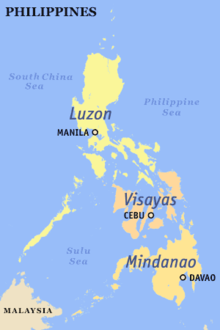 The Visayas or Visayan Islands ), is one of the three principal geographical divisions of the Philippines, along with Mindanao and Luzon. 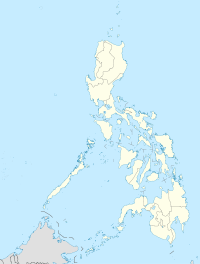 It consists of several islands, primarily surrounding the Visayan Sea, although the Visayas are considered the northeast extremity of the entire Sulu Sea. Residents are known as the Visayans. 2. mm. 10, soprano, first beat, change 2 eighth notes to 1 quarter note, change word from "min-yo" to "ang"
3. mm.14, soprano (SATB mm. 25), "Bali-taw" is like "tow" as in "towel" and "day" is pronounced as "die"
6. mm. 23 (2nd time) & 24, SATB, "ay" or "A-yay" is pronounced "aye" as in "aye aye captain. 7. mm. 26, SATB, "dot" is pronounced "dut" (rhymes with "put") beat 3, change words from "ba-og" to "pang mo"
8. mm. 28 and 29, SATB, "daw" and "naw" pronounced "dow" and "now"
9. mm. 33, SATB, beats 1 and 2, change "No-noy" to "Do-dong", which is pronounced "doe-dune"
10. mm. 34, SATB, last eighth note, change "si" to "kang"
11. mm. 36, SATB, last beat, "la-way" is prounounced "luh-why"
Anton Bruckner, in full Josef Anton Bruckner (born Sept. 4, 1824, Ansfelden, Austria—died Oct. 11, 1896, Vienna), Austrian composer of a number of highly original and monumental symphonies. He was also an organist and teacher who composed much sacred and secular choral music. Bruckner was the son of a village schoolmaster and organist in Upper Austria. He showed talent on the violin and spinet by the age of four, and by age 10 he was deputizing at the church organ. In 1835–36 he studied in Hörsching with his godfather, J.B. Weiss, a minor composer. After his father’s death in 1837, Bruckner entered the monastery-school of St. Florian as a choir boy. This splendid Baroque foundation, with its magnificent organ, was to remain Bruckner’s spiritual home. He trained in Linz as an assistant schoolteacher in 1840–41, and after holding appointments in Windhaag and Kronstorf, he returned to St. Florian as a fully qualified elementary teacher in 1845. Bruckner taught at St. Florian for about a decade, and in 1848 he became the principal organist of its abbey church. In the meantime his compositional skills steadily advanced, and the St. Florian period saw a fine Requiem in D Minor (1849), among other works. The influences of Franz Schubert and Felix Mendelssohn were added to the Viennese classical idiom in these works. Though Bruckner eventually grew unhappy with his limited prospects at the cloistered St. Florian monastery, he was hesitant to leave its security for a purely musical career. In 1856 he was reluctantly persuaded by his friends to apply for the post of cathedral organist at Linz, which he won easily. At the same time, he began a five-year correspondence course in advanced harmony and counterpoint with the Viennese teacher Simon Sechter. Throughout his adult life Bruckner displayed an intense devotion to the spiritual life; an inexorable appetite for musical study, revision, and improvement; and a love of practice and improvisation at the organ. With his provincial background and devout nature, he cut an odd figure among the sophisticated Romantic composers who were his contemporaries. He never lost his simplicity of character, his rural accent and dress, his social naivete, or his unquestioning deference to authority. Although his intellectual powers cannot be doubted in the light of his achievement, he remained inwardly insecure and constantly sought testimonials and certificates as to his ability. His private life took on an unhappy pattern of passionate but unrequited attachments to younger, usually teenage, girls. In 1861 Bruckner concluded his arduous studies with Sechter with magnificent testimonials, and he also astonished his judges at an organ examination in Vienna. His style in works such as the seven-part Ave Maria (1861) displays new freedom, depth, and assurance. He now embarked on a study of form and orchestration with Otto Kitzler, and during this time he discovered the music of Franz Liszt, Hector Berlioz, and above all Richard Wagner. Kitzler’s production of Wagner’s opera Tannhäuser in Linz in 1863 made an enormous impression on Bruckner. The first of his three choral-orchestral masses, the Mass in D Minor (1864), crowns this period of rigorous, self-imposed training and slow growth to maturity. After two earlier essays in the orchestral form, Bruckner completed his Symphony No. 1 in C Minor in 1866. That same year he finished the Mass in E Minor, which, along with the Mass in F Minor (1868), completed his triptych of great festive masses. Throughout his creative maturity Bruckner also composed a beautiful series of motets that punctuate the colossal steps of his symphonic progress, among them Locus iste, Christus factus est, and Ecce sacerdos magnus. They rank among the highest achievements of Roman Catholic church music. Late in 1866 Bruckner suffered a severe nervous collapse, from which he recovered after three months in a sanatorium, though intense depressions would later trouble him. In 1868 he succeeded his late teacher Sechter in a professorship at the Vienna Conservatory. There he taught harmony and counterpoint and endeared himself to pupils for his memorable and engaging academic style. The story of the last 25 years of Bruckner’s life is essentially that of his symphonies: the creation of new concepts of form, time-span, and unity, and his struggle to achieve success in the face of fierce critical opposition. The boldness and originality of his music met with incomprehension and was mocked by the powerful Viennese critic Eduard Hanslick, who was a champion of the German composer Johannes Brahms and was antipathetic toward Wagner. Bruckner was a fervent admirer of Wagner, and he was erroneously branded as a disciple of that composer; his career suffered from his unwitting involvement in the fierce battle then raging between the adherents of Wagner and Brahms. Bruckner received a long-sought appointment as a lecturer at the University of Vienna in 1875 over the opposition of Hanslick, who was dean of the university’s music faculty. In 1878 he was elected a member of the Hofkapelle, where he had been an unpaid organist for years. Bruckner’s principal work of chamber music, the String Quintet in F Major, was completed in 1879. A monumental setting of the Te Deum followed in 1884. Later that year, the conductor Arthur Nikisch’s premiere of the Symphony No. 7 in E Major in Leipzig was Bruckner’s first unequivocal triumph and marked a turning point in his artistic fortunes. His other symphonies soon began to win wider appreciation throughout Germany and even in Vienna. 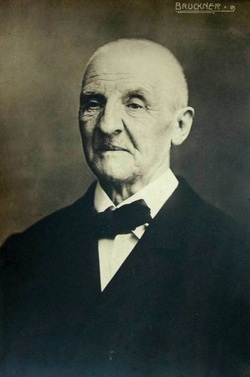 By the early 1890s Bruckner had become a famous and honoured figure, and he was awarded an honorary doctorate of philosophy from the University of Vienna in 1891. His last choral-orchestral works were Psalm 150 (1892) and Helgoland (1893). Three movements of his Symphony No. 9 in D Minor were ready by 1894, but he was unable to complete the finale before his death. He was buried at St. Florian.